Last month two of our software engineers Mihaela Tunaru and Mary Gouseti were invited to give a presentation of how continuous delivery is done at bol.com. The presentation gives a good insight in the state of continuous delivery at bol.com from a software engineering perspective. In case you want to know more from the operations perspective check Mayfly on GitHub and the presentation below. Maarten Dirkse gave a talk Docker your user stories using Mayfly. Mayfly is a development platform built by bol.com. Mayfly speeds up your service development by wrapping your scrum user story code in containers, testing it in an isolated, production-like environment and automatically enforcing your Definition of Done. This entry was posted in Agile, Open Source, Release, Tools and tagged continuous delivery, DevOps, Integration, Mayfly, OSS, Patterns, scrum, software development, Tools on 2015/10/22 by PeterPaul. 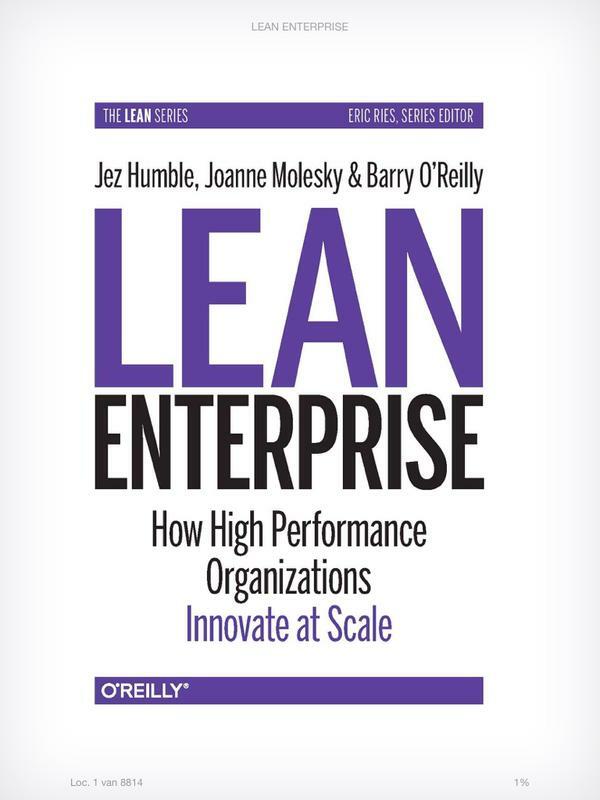 Lean enterprise is a practice focused on value creation for the end customer with minimal waste and processes. The term has historically been associated with lean manufacturing and Six Sigma due to lean principles being popularized by Toyota in the automobile manufacturing industry (TPS) and subsequently the electronics and internet software industries. In order to scale Agile, it is not enough to just replicate development practices and techniques across teams. We also need to review organization structure and management controls to see if they are in tune with what is needed for responsive IT. Unless we do so, overall IT performance is unlikely to improve. 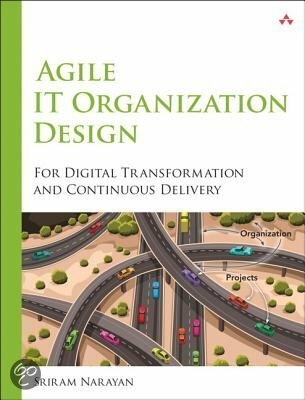 This highly recommended book provides a basis for reviewing and reshaping the IT organization to equip it better for the digital age. 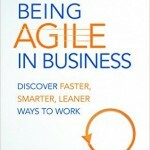 Agile and lean are fast and efficient methodologies you need to change the way you work. 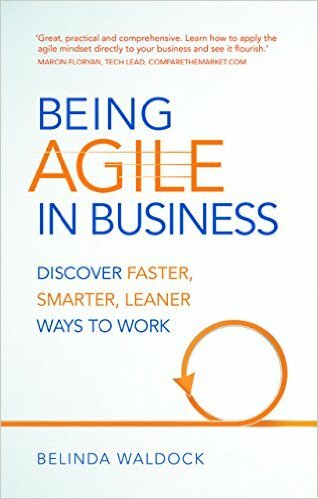 This book introduces you to the essential skills and mindsets of agile and lean and quickly encourage you to start thinking differently. 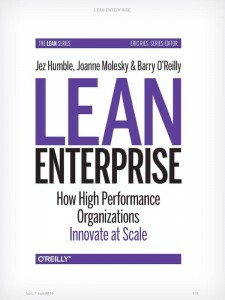 This entry was posted in Agile, Lean, Reading and tagged Agile, book, Innovation, Lean, reading, Retail, software development on 2015/07/23 by PeterPaul. In this blogpost I’ll share a list of books I read during the first six months of 2013. This book proved very useful to get an introduction and solid background in Hadoop. I was reading it a little before starting an enhancement of MapReduce code. This made it possible to better understand the production code and how to make the changes. Hadoop The Definitive Guide (amazon) is recommended for anyone interested in Hadoop stuff. 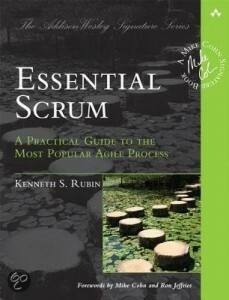 Wanted to read Essential Scrum to renew and deepen my theoretical knowledge of Scrum. This is a great read for that purpose! I like the visuals that are used and set it apart from other books on the subject. Besides that I liked the MindMap-like figures that support the stucture in the chapters. The scope goes beyond the core of Scrum and does that well. It also touches on subjects like Multilevel and Portfolio planning, The role of managers in Scrum context, and Product Planning. This is a great follow up read for anyone with basic Scrum training or certification. It doesn’t just offer the big picture but both details and examples on how to become more agile. It will help you deal with the complexities of implementing and refining Scrum. 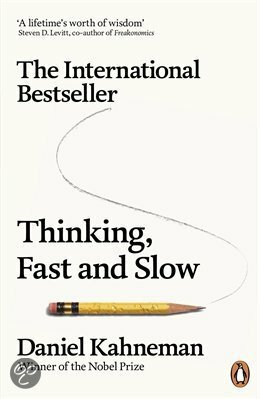 The aim of Daniel Kahneman the author of Thinking Fast and Slow is to enrich the vocabulary of people talking at a watercooler, where opinions and gossip are exchanged. He wrote this book to influence the way they talk about judgements and choices of others. He has succeeded. As Economist has put it: Kahneman shows that we are not the paragons of reason we assume ourselves to be. When you realise this it put you and the world around you in a different perspective. Mr. Kahneman is a person that understands like no other on the planet how and why we make the choices we make. He knows how to share his insights! This is a great read for any curious mind, escpecially those with an interest in how and why we make choices. This book will change the way you think. There is an interesting talk on Thinking Fast and Slow by Mr Kahneman at the The Long Now. 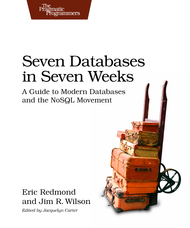 The book Seven databases in seven weeks will take you on a tour visiting some of the hottest open source database today. This is typical software development reading. It has a progressive style of offering insigts to databases and their capabilities. The open source databases covered are PostgreSQL, Riak, Apache HBase, MongoDB, Apache CouchDB, Neo4J, and Redis. These were chosen to span five database styles or genres: Relational, Key-Value, Columnar, Document and Graph. This book is recommended for anyone looking for a solid introduction fo databases besides the traditional RDBMS. It will provide the knowledge you need to choose one database to suit your needs. This entry was posted in Agile, Lean, Open Source, Oracle, Patterns, Tools and tagged Agile, Architecture, book, scrum, software development on 2013/06/25 by PeterPaul.